This finally irked me enough that I went looking for an answer…and found one, on only the second entry in my search results. I hadn’t specified that my Photos library was the actual System Photo Library, so that button was still active. Once I clicked it, the button grayed out, and on next launch, no more welcome screen! I think you’ll only run into this problem if you (1) migrated an iPhoto library, and (2) kept that iPhoto library on an external drive. In those cases, Photos doesn’t set the library as the System Photo Library. One minor annoyance down, many more to go. As a recent somewhat-forced convert to Photos, I’m struggling with a number of things—more on that coming in a future post. 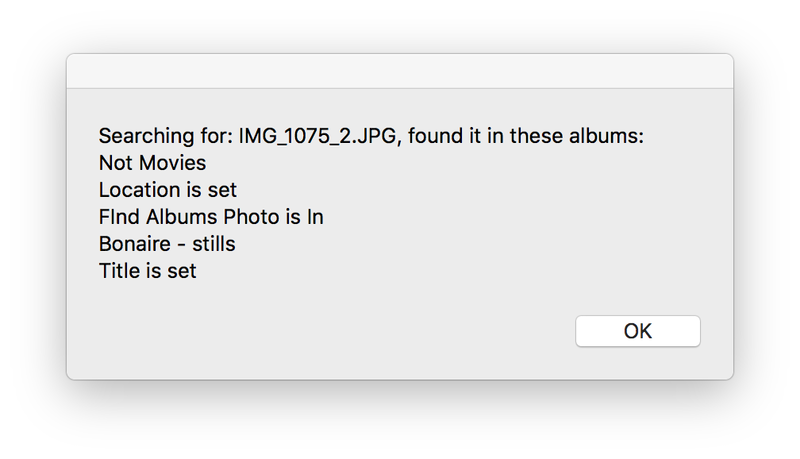 But one of the tougher adjustments for me is that Photos uses a floating Info window, whereas iPhoto had an embedded info panel. I keep the Info window open all the time, because I do a lot of work with keywords and location. (I also like to keep the Keywords window open, though this one was also floating in iPhoto.) 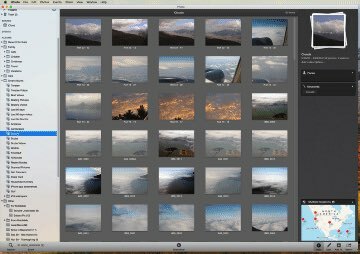 I resize the iPhoto/Photos window quite often, depending on what I’m doing with other apps—sometimes I want my photos covering the screen, sometimes I don’t. In iPhoto, this isn’t an issue (left GIF), as the info panel is attached to the main window. In Photos, though, resizing the main window leaves the Info window floating in space (right GIF). I don’t like the big gap, either visually or operationally, so I wind up moving the Info window next to the newly-resized main window. There are a few solutions to this problem, the best of which only Apple could provide. They could make the Info window a panel below the photos, or they could make it magnetic so that it would stick to the edge of the Photos window, even as it resizes. I don’t suspect we’ll see either solution coming from Apple, though. Instead of waiting for Apple, I used one of Many Tricks’ own apps, Moom, which (among its other tricks) has the ability to save window layouts, either within an app or across many apps. I’ve recently—begrudgingly, forcibly—migrated from iPhoto to Photos. My iPhone 8 Plus was the main impetus, as Photos supports its new movie and image formats, as well as providing some additional editing features that I can’t get in iPhoto. But in my limited time with the new app, my general conclusion is that Photos is not designed for someone who likes to actively manage their photo collection. This structure effectively creates an “and and or” logic, where you can have all conditions must be true at the top, yet have an “or” on the keyword: This playlist finds media that have the keyword Midnight or Moonlight (our cats), and are videos. You simply cannot build this structure in Photos, because the Keyword field is a tokenized pop-up; you can only select one value. If I list the keywords as separate criteria, I wind up with a Smart Playlist that only finds videos with both Moonlight and Midnight. That’s not what I want. This structure is useful whenever you have multiple individual things—kids, lets say—and you want a smart playlist that will find any of your children and any other criteria, like year or camera or whatever. My first thought at a workaround was to create a Smart Playlist called The Cats, which simply had the two Keywords as “or” criteria. I’d then create a second Smart Playlist that had one criteria set to “Playlist is The Cats” and the other set to find only videos. But Photos won’t let you use a Smart Playlist as a criteria (neither will iPhoto, for that matter). Perhaps in Photos 4…or 5…or 6. Sigh. 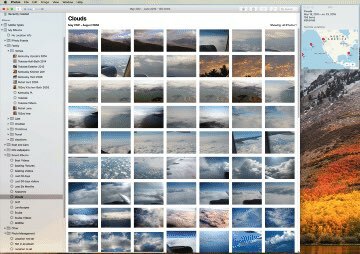 By default, your System Photo Library is stored in the Pictures folder on your Mac, but you can move it to another location on your Mac or store it on an external storage device. If a Photos library is located on an external drive, don’t use Time Machine to store a backup on that external drive. 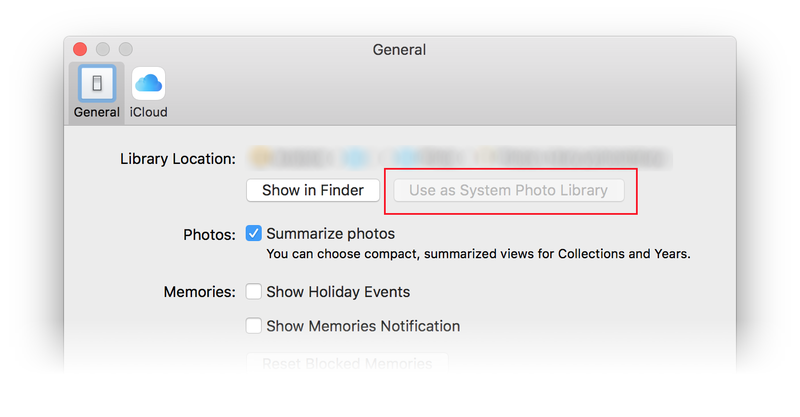 The permissions for your Photos library may conflict with those for the Time Machine backup. That just means you shouldn’t use the same external drive for both your Photos library and as a destination drive in Time Machine. This makes much more sense; continue reading only if you care about my feelings on the original incorrect wording.